﻿ University of Florida freshman girl and male student have a conversation outside of Floyd Hall. 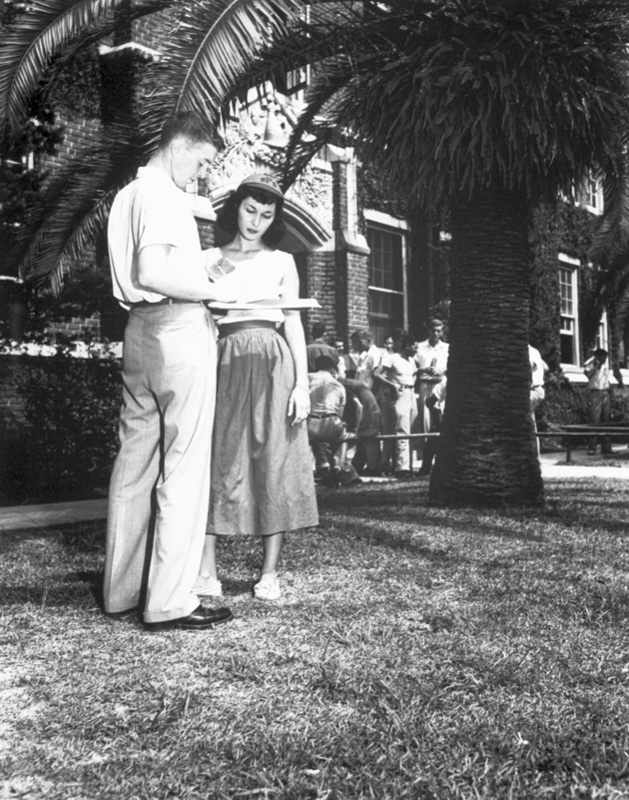 University of Florida freshman girl and male student have a conversation outside of Floyd Hall. Scanned. Copy negative. Freshman girl and male student have a conversation outside of Floyd Hall. Photograph 9354 from the University Archives Photograph Collection.